Friends of the Wisconsin Wolf billboard unveiled on I90/I94 near Wisconsin Dells. 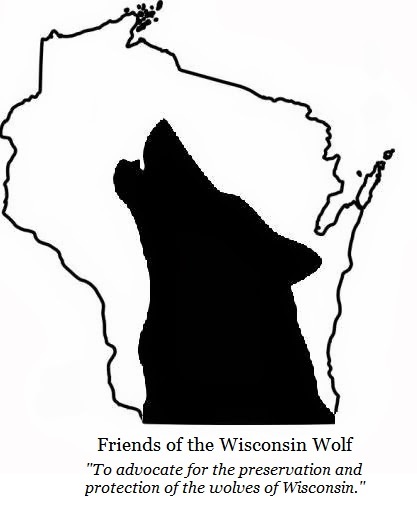 **Disclaimer** I am a member of the Friends of the Wisconsin Wolf Board of Directors. Tired of being ignored by the State of Wisconsin Legislature, Department of Natural Resources, and Natural Resources Board, a group of Wisconsin wildlife advocates have decided to take our message directly to the public. This week grass roots wildlife advocacy group, Friends of the Wisconsin Wolf, have taken the first step in a campaign to educate and inform the public about the reckless and brutal campaign being waged against Wisconsin’s wolf population. (Madison, WI)- In an effort to increase awareness about the upcoming Wisconsin wolf hunt, Friends of the Wisconsin Wolf, a non-profit wolf advocacy group with members all over the state, placed a billboard between mile marker 191 & 192, on Hwy A that goes over I 90/94. The controversial billboard shows wolf families in the sights of a rifle stating “SHAME ON WISCONSIN”, with a hope to increase involvement of the public with the non-profit and to engage tourists in voicing their concerns over the recently de-listed grey wolf hunt. This year’s wolf hunt with have a quota of nearly 300 wolves. With recent data released from the Wisconsin Department of Natural Resources nearly 75% of those wolves killed were juveniles. “While we are relieved that breeding adults mostly survived last year’s hunt, we are deeply concerned about the sustainability of this hunt with a goal of bringing our population down to 350 wolves, nearly as fast as they can with little regard for what is best for Wisconsin’s ecosystem and wolves”, said Melissa Smith, director of the Friends of the WI Wolf group. Last year, the quota of 117 was met in a very short time, mostly by trapping. This year however, dogs will be used to hunt wolves, which Friends of the WI Wolf group believes is “state-sanctioned dog fighting”. 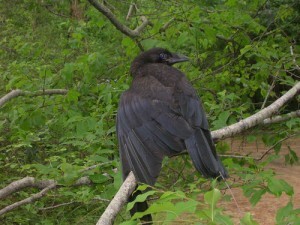 In addition, the group has been working hard to bring awareness about the practices of hounding in general and captive wildlife penning, both legal in Wisconsin. “I know if the public saw what I just saw on this YouTube video, (a video showing hounds attacking a coyote) they would be outraged. And this year, this inhumane practice will also include wolves”, said Patty Maringer-Fitzpatrick, vice president of the group. Friends of the Wisconsin Wolf hopes to be able to raise 1,000 dollars to keep the billboard in the Wisconsin Dells up through gun-deer season and to even expand into other places such as Milwaukee and Door County. The donation will be matched by a generous donor if they are able to meet their funding goals. Perfect sign..perfect message…perfect location…perfect audience. Thank you!